This family-run hotel is located in quiet settings, a stone's throw from Brocas' Lake and the pine forests. Logis De France De La Gare features a restaurant that serves regional specialities based on fresh local products and numerous fish dishes. The hotel also boasts a privileged location to experience the Landes region. The hotel is closed from 15:00 to 18:00. If you plan to arrive during this time, please contact the hotel prior to or by the morning of your scheduled arrival. 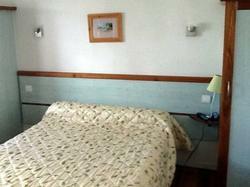 This room features Wi-Fi access, a TV and a shower and toilet. This room features a TV and a shower and toilet. This room features a TV and a private bathroom with bathtub.